Current musical keyboard options are limited to either large, bulky keyboards that are impractical for travel or portable keyboards that do not have professional quality. Learning how to play the piano is going to be much easier when you have devices like KOMBOS keyboard around. 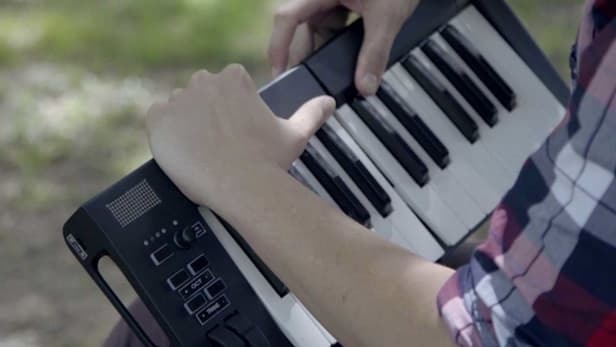 A team of music enthusiasts who sought out to build a product that would allow us to make music anywhere, have developed the world’s first modular keyboard, Kombos keyboard – a musical instrument that lets you work in sets of 25, 37, 49, and 61 keys to produce music anywhere. Place doesn’t matter for the keyboard, on the road or in the studio, Kombos Keyboards now allow you to bring music anywhere you go. Its Li-ion battery enables continuous playback of 8 hours and fully compatible with iOS and Android devices. It has Bluetooth 4.0 enabled to make it truly wireless device, which allows wireless connection of mobile devices such as tablets running music creation software, and compatibility with any USB-MIDI or MIDI-compatible device. Kombos keyboard is composed of left and right head units. The left module is the home monitoring and 12 keys and push-locks 13 key the correct module. 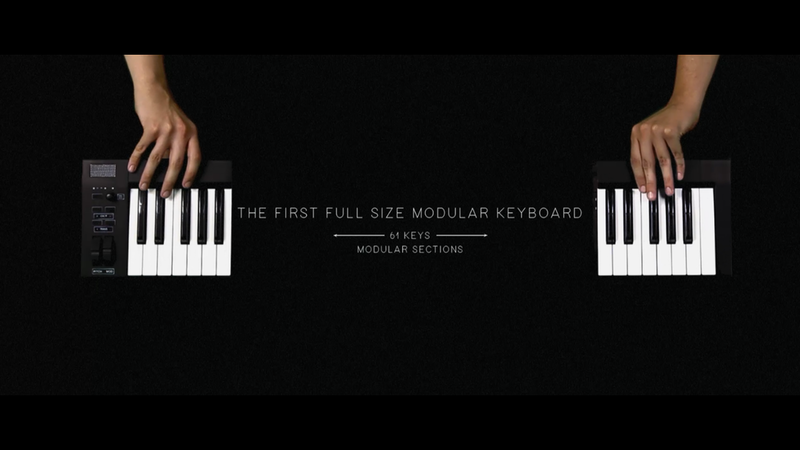 If 25 keys are not enough to meet the needs of your composition, you can snap to the left and to the right of the units apart and the gap in one or more 12-key filler modules, up to 61 keys! It is a truly user-friendly, as simple as assembling your preferred modularized keyboard sections and turning on the power. After automatically connecting to your Iphone or Ipad via Bluetooth, the keyboard will hook into your preferred recording app. It has many users, from music hobbyists all the way to professional DJ's, Kombos can be used in any setting and delivers that high quality sound. The crowd fund-raising campaign is currently underway on Kickstarter for a goal of $ 25,000, with a pledge levels start at $ 139 early bird 25 key setup. The Modular kits are available at the top out of the 61 key Kombos for $ 299 and the expected shipping of the modular keyboard in May 2017.